Posted by Gyaniz in Logos, Marketing. InterGlobe, the Indian aviation and travel corporation which owns the low-fare airline IndiGo and operates a hotel chain as joint-venture with Accor has unveiled a new corporate identity. It is credited to London brand consultancy Circus and Mumbai design agency Grandmother India. The new logo contains a symbol with six spokes with different lengths and colours. The spokes can animate to change their length and position. The main Interglobe logo and the logos of its six corporate divisions all use different interations of the symbol. The position of the “axle” in the symbol does however not change. The six spokes probably represents to company’s six divisions (or ‘verticals’). The changing and fluid nature of the symbol represents change and fluidity, and the unchanging center probably stands for stability and sticking to core values. Posted by Gyaniz in Brand Ambassadors, Marketing, News You Can Use. Vidya Balan, has been signed as brand ambassador of WWF’s ‘World Earth Hour 2011’. This year, the World Earth Hour is scheduled to take place on Saturday March 26 between 8.30 pm and 9.30 pm. Ranbir Kapoor has been signed up as the brand ambassador for the telecom major Tata Docomo. Sonakshi Sinha was announced as the new face of Provogue, at Yash Raj Studios in Andheri, Mumbai. The 23-year-old fashion designer turned actor replaces Katrina Kaif as the face of the brand’s Women’s Wear. 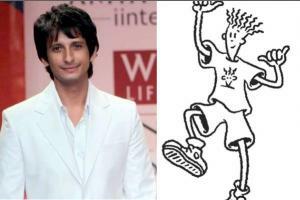 Sharman Joshi replaces the iconic 7 Up mascot, Fido Dido to become its first male brand ambassador. Apparently he is being paid Rs 5 crores. Posted by Gyaniz in Logos, Marketing, Trivia. Siemens & Halske was represented by the S & H alphabets in the logo until 1973, when the company logo was reduced to Siemens alone. In 1848, the company built the first long-distance telegraph line in Europe; 500 km from Berlin to Frankfurt am Main. In 1867, Siemens completed the monumental Indo-European (Calcutta to London) telegraph line. In 1881, a Siemens AC Alternator driven by a watermill was used to power the world’s first electric street lighting in the town of Godalming, United Kingdom. The company continued to grow and diversified into electric trains and light bulbs. As part of a global initiative, German car maker BMW has decided to create a new brand – called BMWi – within the group. The brand will co-exist with others like BMW, Mini and Rolls Royce. “It will be a sub-brand ,” said Andreas Schaaf, president, BMW India. “Objective of this new brand is to primarily target the youth segment with the technology of the future,” he said. Products from this brand will be mainly for the developed markets like US and Europe, not immediately for India. But, in future, India will also be included in the list of markets under this brand. Lady Gaga has designed a special charity band which is for sale on her website, with all proceeds going towards the Japanese tsunami fund. 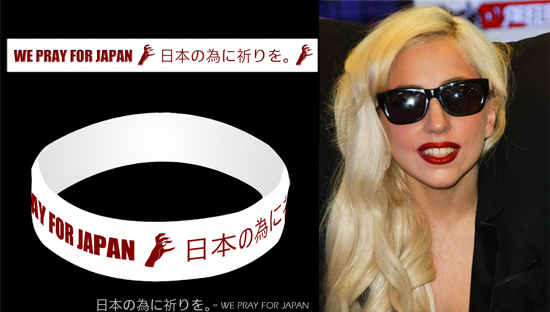 The bracelet dons a simple yet sincere message, ‘We pray for Japan’ in both English and Japanese, alongside her signature claw. The singer draws lots of artistic inspiration from the country, especially as her stylist, Nicola Formichetti, is half Japanese. The bands will be available on March 25th and cost just $5 (£3). Posted by Gyaniz in Ads, Brand Ambassadors, Marketing. 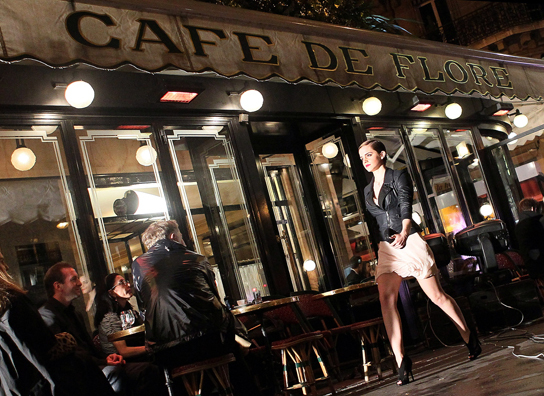 Emma Watson, the new brand ambassador of Lancome’s first ad shoot in Paris.